Interest to alcohols is caused by a ratio between their prime cost and their useful properties as gasoline components, be more specific their ability to increase octane number. As the component to fuels ethanol represents better interest, than methanol as it is better dissolved in hydrocarbons and is less hygroscopic. It was set that the additive of 5% of ethanol to gasoline doesn’t lead to deterioration of operation characteristics of the engine and doesn’t require regulation. Essential lowering of bursts essential lowering of CO and hydrocarbons. Optimization of gasoline composition looks not such complex challenge. It is really possible by using of “USB” (Ethanol blending system) which are manufactured by the GlobeCore company. Ethanol alcohol concentration of 92-96% blends with gasoline using GlobeCore company mixing system. Time of phase stability of a compound makes not less than 6 months. 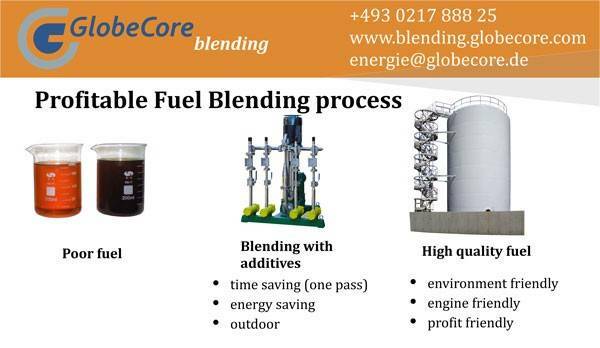 By the GlobeCore company it was developed and delivered on a mass production a number of compounding systems which are applied to ethanol blending and to mixing of different liquids. Blending systems are as stationary and mobile execution. 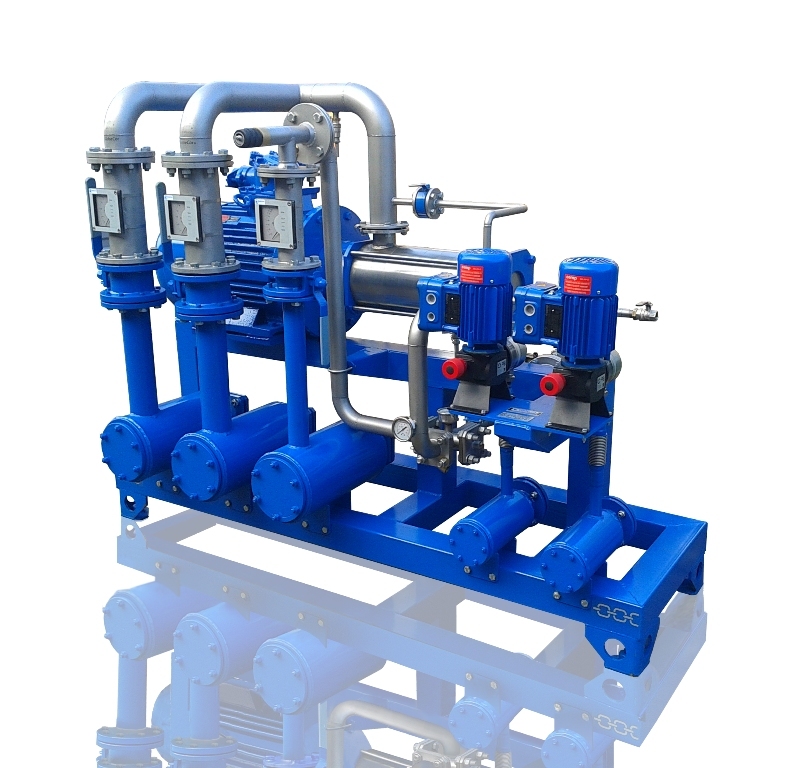 Manufacture of this kind equipment is coordinated with the customer and generally made under personal requirements of the customer depending on required compounding and receiving the final product. This process is used in a hydrodynamic blender “USB”. This process allows to present all components at the same time in coordination to a formula.The benefit of this technology is in the following: each element dosing accurate control, substantial reduction of batching process duration, no need in batching vessels for finished product homogenization. In the ethanol blending process at stream mixer the consumption of each element are controlled for the purpose of providing completed product outlet with parameters which corresponds to the formulas.